Denis does go on to speak about 'a science - do we know it? - which covers these things: Aesthetics, which is becoming precise and which, thanks to the practical researches of Charles Henry, is firmly based on the psychology of the Spencers and the Bains.' Henry had established a 'laboratory for the physiology of sensations' arguing that human reactions to stimuli, including stimuli by works of art, could be subject to mathematical calculation. He understood the whole of reality as an exchange of vibrations whose speed could be measured, a proposition most easily demonstrable in terms of colour. It was Signac and Seurat and their champion, the art critic Félix Fénéon, who were most interested in Henry's theories. 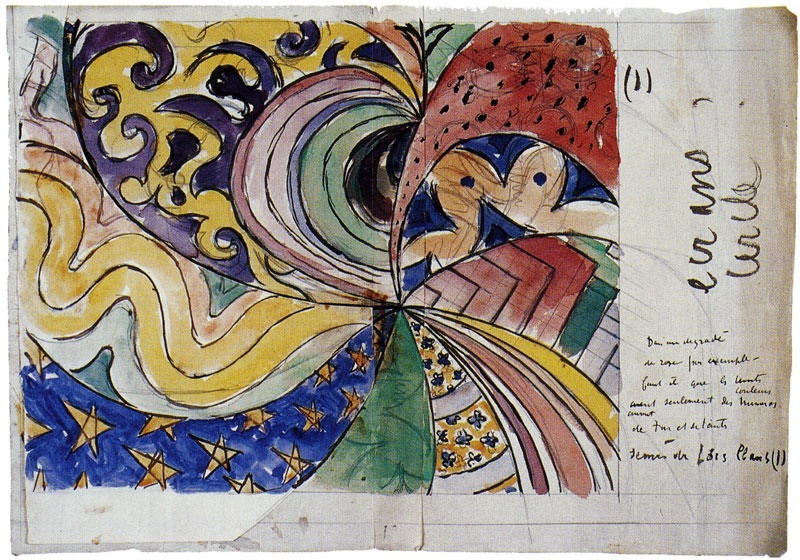 Signac had prepared many illustrations for Henry's studies such as his Education on the meaning [sens] of Forms and his Application of new instruments of precision (chromatic circle, aesthetic table and aesthetic triple-decimeter) to archaeology, both published in 1890, the year of Denis' Neo-Traditionalism. 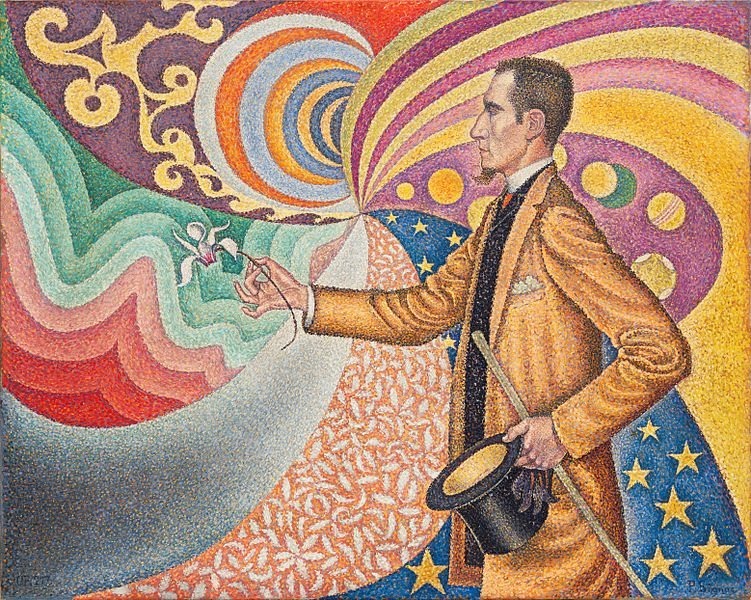 (2) In May 1890, just three months before the appearance of the Définition, Fénéon published an article on Signac which could be said to anticipate the famous first proposition, at least in the reference to 'anecdote' and the dissatisfaction with reproducing the fleeting appearances of nature: 'Mr Paul Signac can create exemplary specimens of an art with great decorative possibilities, sacrificing anecdote to the arabesque, identification [nomenclature] to synthesis, the fleeting to the permanent and, in his celebrations and his marvels [les fêtes et les prestiges] he confers on nature, abandoned in the end by its uncertain reality, a true reality.' (3) Fénéon was a contributor to Art et Critique, the journal that published Néo-traditionnisme and we can assume the term 'Néo-traditionnisme' was coined with 'Néo-Impressionnisme' in mind (the term was current - Fénéon had already used it in 1887 (4)). (3) Félix Fénéon: 'Signac', Les Hommes d'aujourd'hui, vol. 8, n° 373, May 1890. Quoted in Richard Thomson and Belinda Thomson: 'Maurice Denis' "Définition du Néo-traditionnisme" and anti-naturalism (1890), Burlington Magazine, Vol 154, No 1309, April 2012, pp.260-267. My very awkward translation from the French. Signac: Study for "Portrait of Félix Fénéon"
(5) The antagonism between the two sides, with Fénéon as champion of the Neo-Impressionists and Albert Aurier as champion of the Symbolists, is explored in Michael Marlais: Conservative Echoes in Fin de Siècle Parisian art criticism, Pennsylvania State University Press, 1992. (6) Denis to Lugné Poë in Richard Thomson and Belinda Thomson: Maurice Denis, p.267. Signac in Marlais: Conservative Echoes, p.100.